Oh, meal plans. At Ohio University, there’s so much for hungry Bobcats to consider! From Flex Points to extra swipes, what’s a famished feline to do? Never fear; four Bobcats, each with one of the four most popular meal plans, opened up about what it’s really like to sustain yourself on campus at Ohio University. At $3,546 per year, Traditional 10 is the most economic meal plan offered at Ohio University. This plan is only available to students with 30+ credit hours (sophomore status) and students exempt from their housing contracts. Traditional 10 features ten meals per week and no Flex Points. Students with this plan can only use one swipe per meal period and swipes can only be spent at dining halls and Grab n’ Gos. Sophomore health sciences major, Vanessa Beard, chose this plan because of its low price. 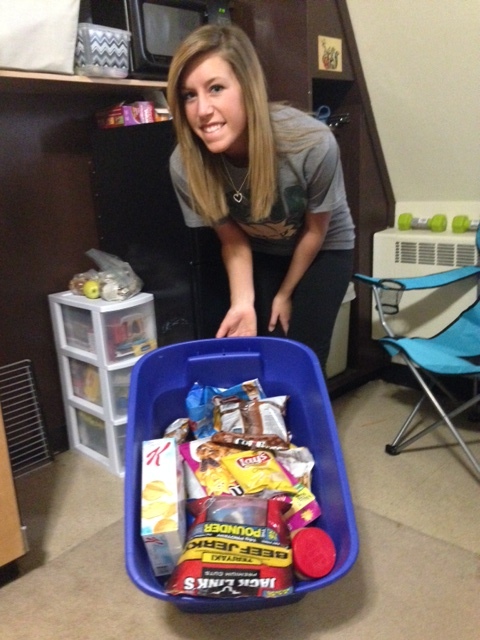 Her biggest complaint about Traditional 10 is not being able to spend her leftover swipes at the campus markets. “My roommate and I both have Traditional meal plans, so we rarely have any food in the room for when we don’t have a chance to go to the dining halls,” she said. Beard finds alternatives to market munchies. Traditional 14, a meal plan available to all students, is slightly more expensive than Traditional 10, costing $4,104 per year. Students with the Traditional 14 meal plan can enjoy 14 meals per week. Although it doesn’t include Flex Points, students can use one swipe per meal period at dining halls and Grab n’ Gos. Gabrielle Moore, a freshman communications major, chose this plan to stay healthy during her first year of college. Regardless of good intentions, not having food in her room has hurt more than it has helped. “I’m definitely getting Flex 14 next year because I feel like I have to stuff myself at the dining halls so I’m not hungry later,” Moore said. As the year has progressed, Moore has managed to find ways to stay healthy even without Flex Points. “Sometimes, I’ll get Grab n’ Go and put it in my fridge. When I do want healthy snacks for my room, I use cash or my credit card at the market,” she said. 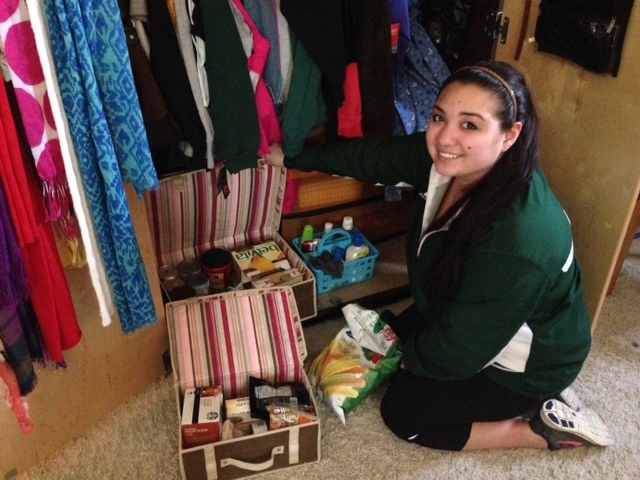 Moore shows off her healthy snacks in her dorm room. 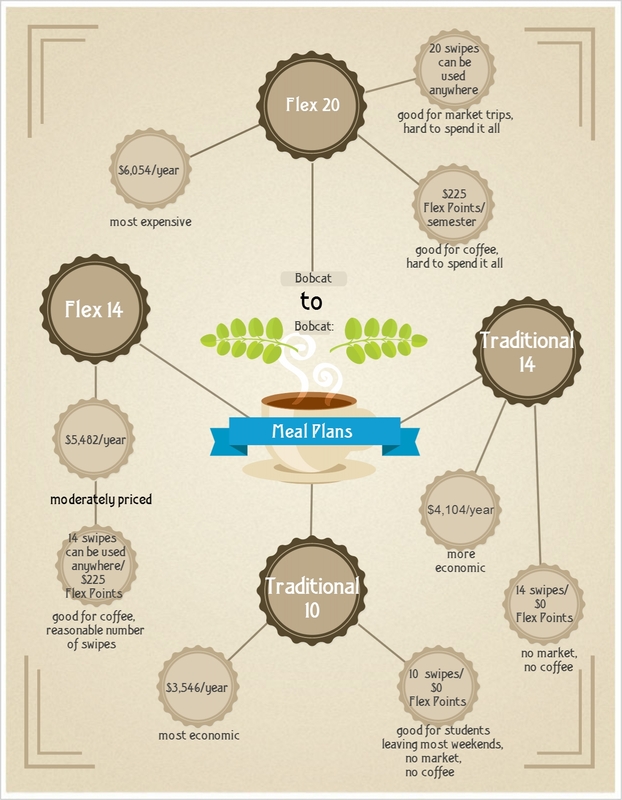 The most popular meal plan among students, Flex 14, costs $5,482 per year. Students with this meal plan get 14 swipes per week that can be used at any time at any of the campus dining halls, markets, and Grab n’ Gos. This meal plan also includes $225 worth of Flex Points per semester, which can be used at any Culinary Services dining venue. 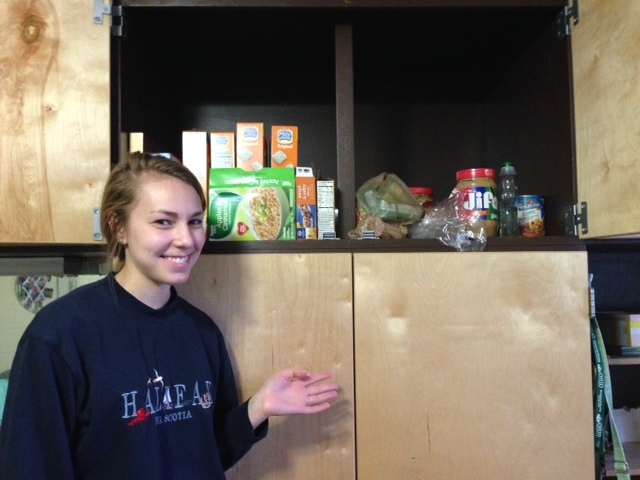 Freshman journalism major, Elise Halter, chose this plan because she was unsure of how much she’d be eating away from home. She spends her Flex Points to get coffee every morning and around eight swipes at the market weekly. “I usually buy yogurt, trail mix and cereal at the market,” she said. Although Halter utilizes her meal plan, she is not getting Flex 14 again next year. “It’s just too much food. I don’t need 14 swipes or all those Flex Points,” she said. Halter’s recent purchases from the Boyd Market. In addition to $225 worth of Flex Points per semester, Flex 20 features 20 swipes that can be used at all campus markets, dining halls and Grab n’ Gos. Coming in at $6,054 per year, Flex 20 is the most expensive meal plan available to Ohio University students. 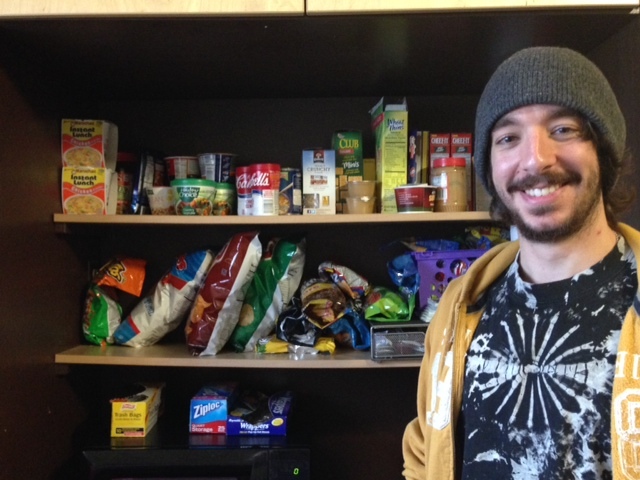 Alexandros Giragosian, freshman integrated media major, chose this plan because he was unsure of when he would be able to fit meals into his class schedule. “I would rather be safe than sorry,” he said. Although Flex 20 has its benefits, Giragosian has a hard time spending all his swipes and Flex Points. “I had over 100 Flex Points leftover at the end of last semester,” he said. “I don’t need Flex 20 for next year; it’s way too much food,” he added. Giragosian has some serious snackage, thanks to his Flex 20 meal plan. So there you have it; the inside scoop on Ohio University meal plans from four of our very own guzzling grimalkins. The bottom line? Flex is the way to go if you’re a caffeine addict/serious snacker, although Flex 20 seems to be a bit excessive, even for the most esurient Bobcats. Traditional meal plans are ideal for frequent home-goers, penny pinchers and dining hall lovers. With the vast array of meal plans to choose from, there’s definitely something for appetites of all shapes and sizes.